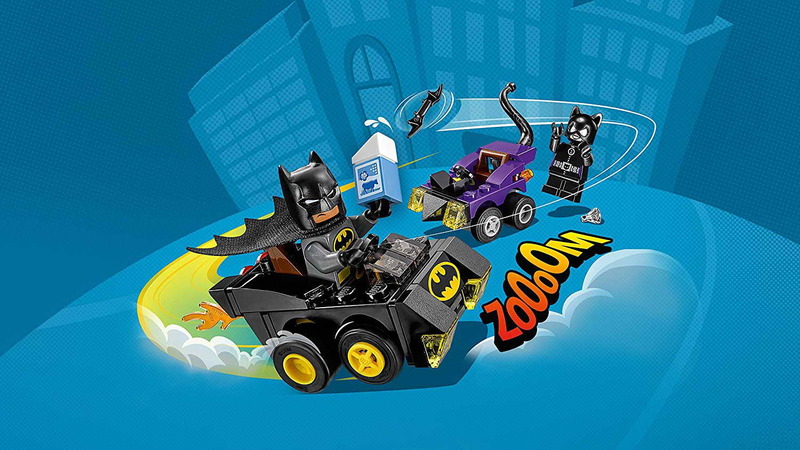 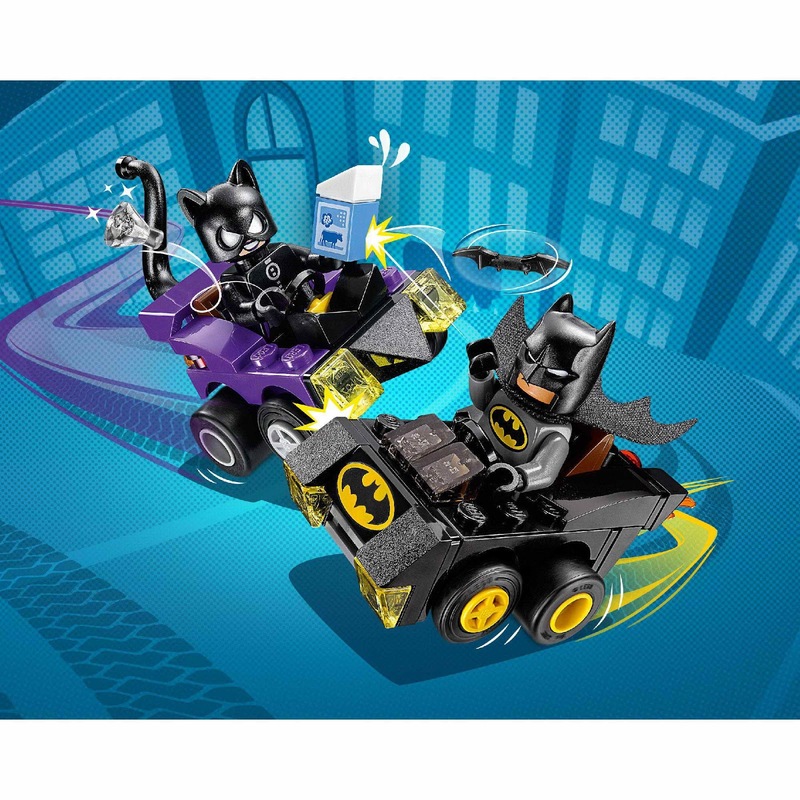 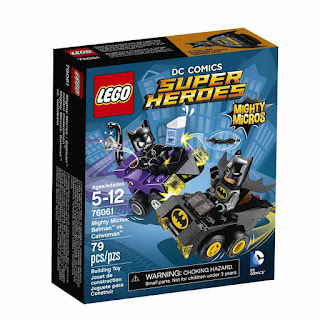 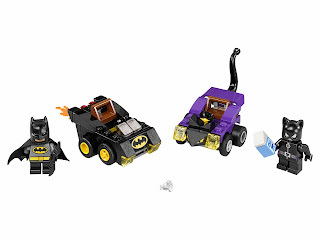 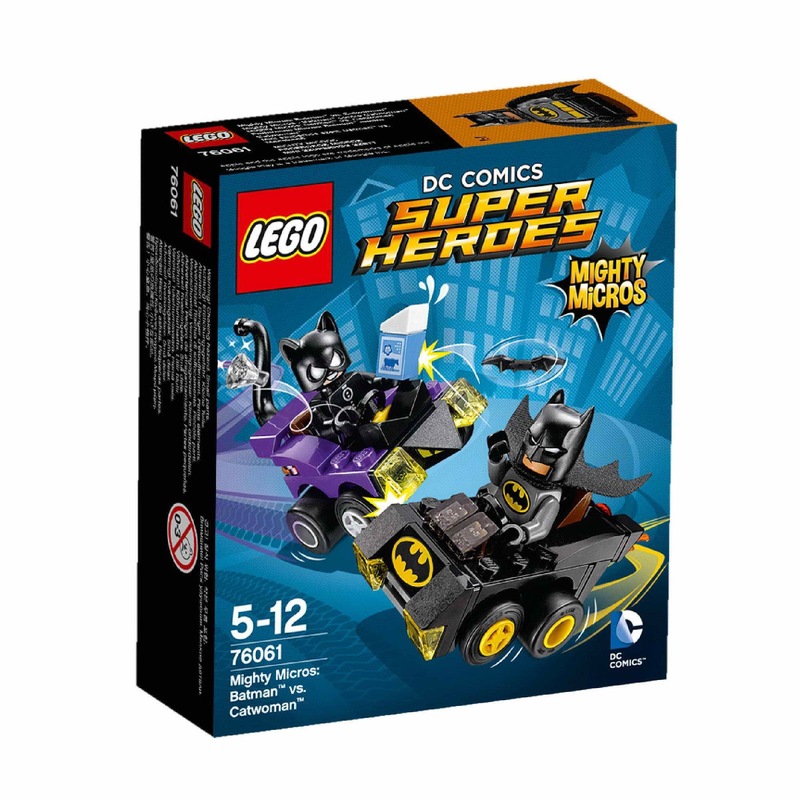 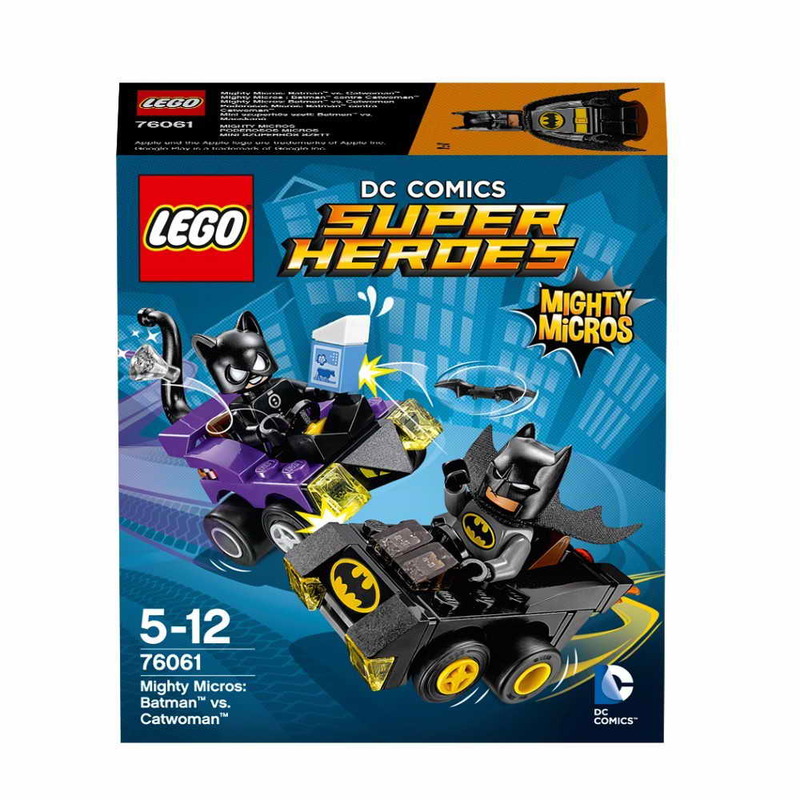 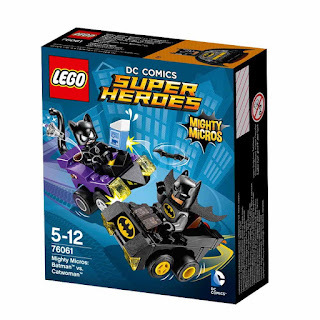 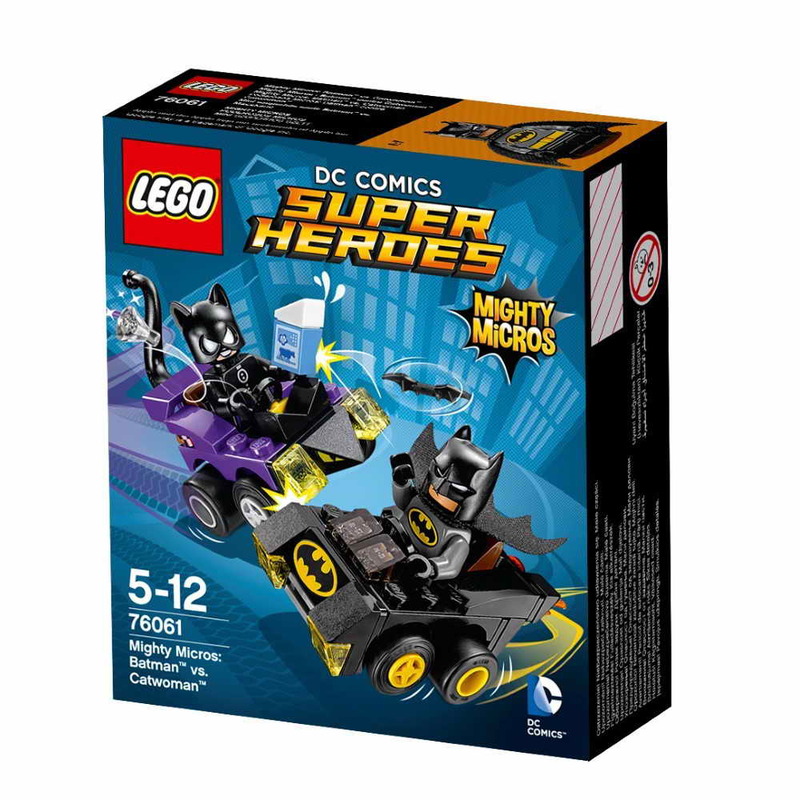 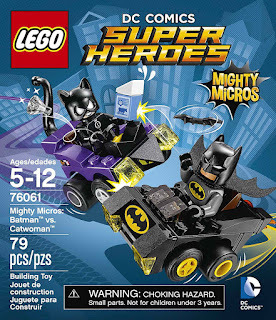 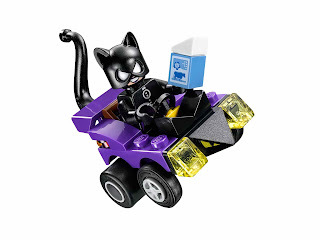 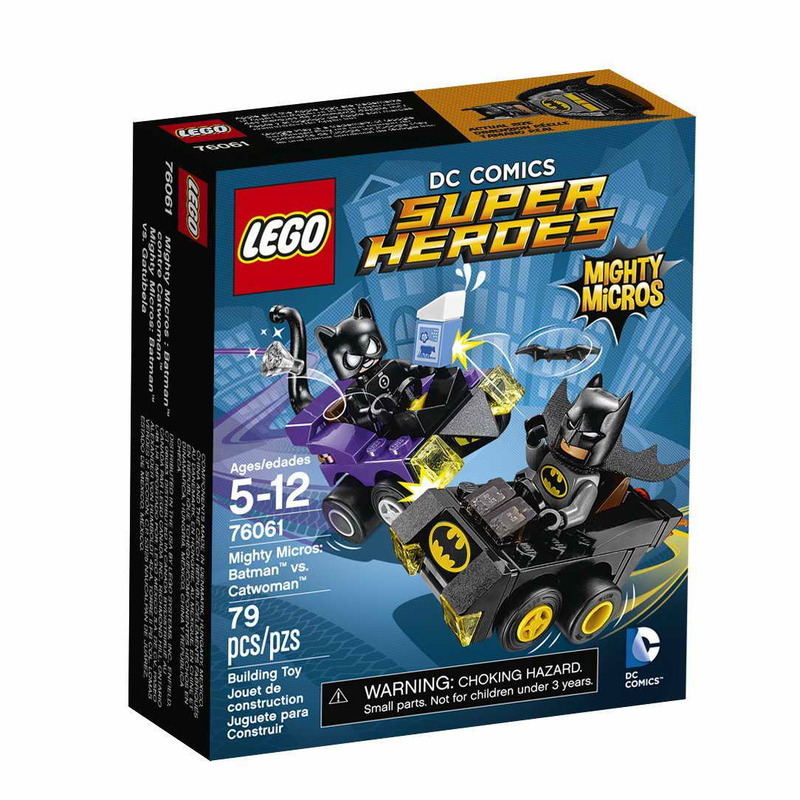 come with a batman's mighty micros batmobile and a catwoman's mighty micros car. 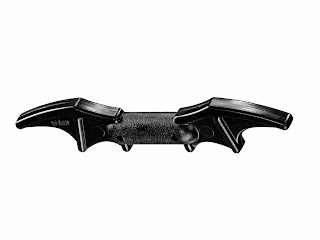 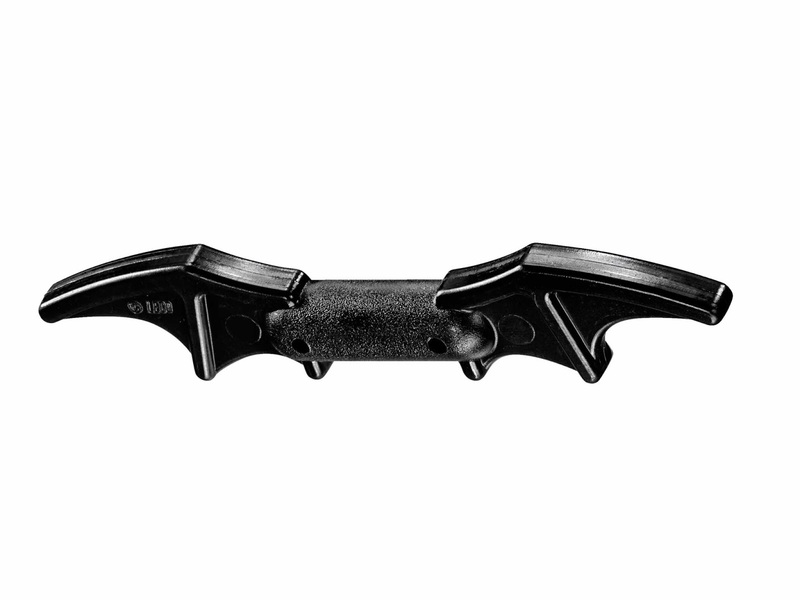 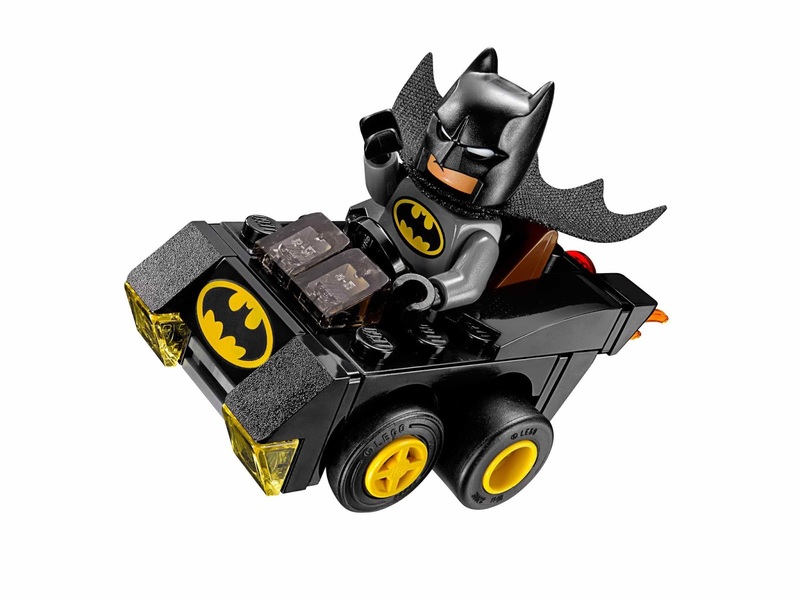 the batmobile has turnable wheels, a batman logo, transparent lights and exhaust flames. 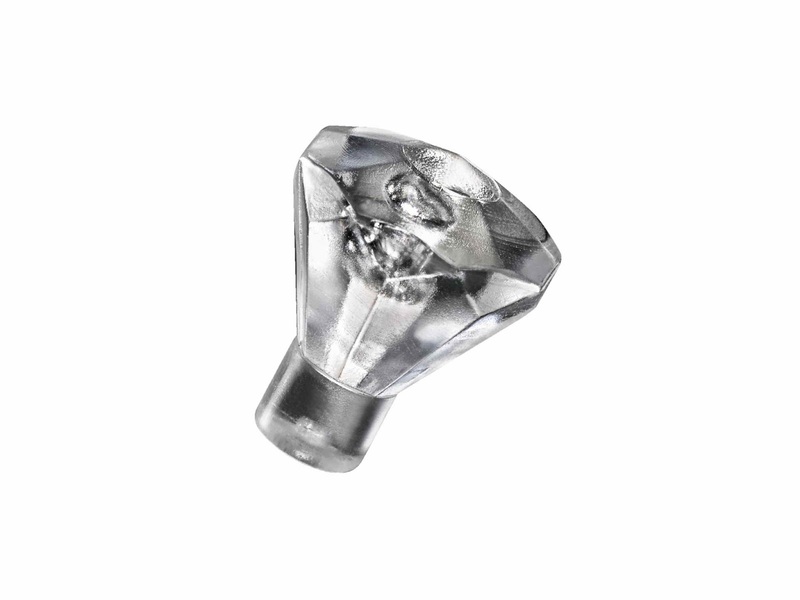 the catwoman's car has a front cat face design, a cat's tail, transparent lights and exhaust flames. 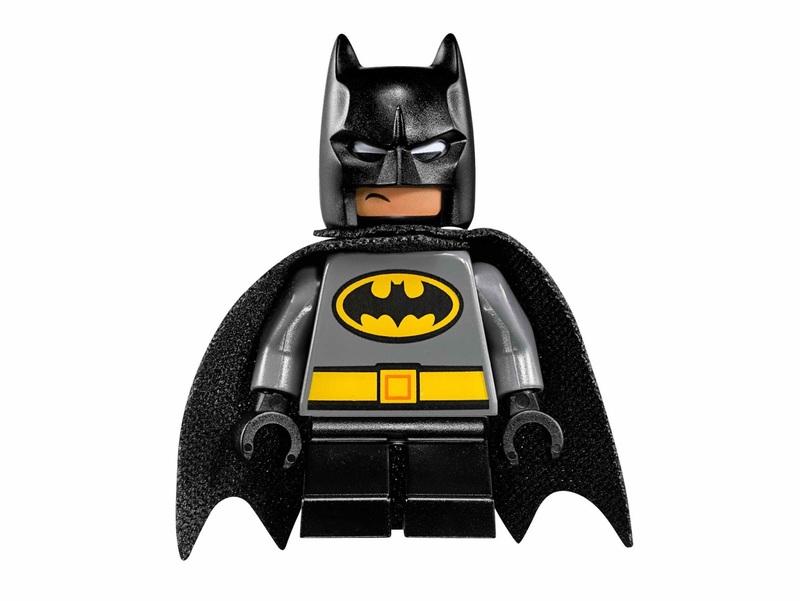 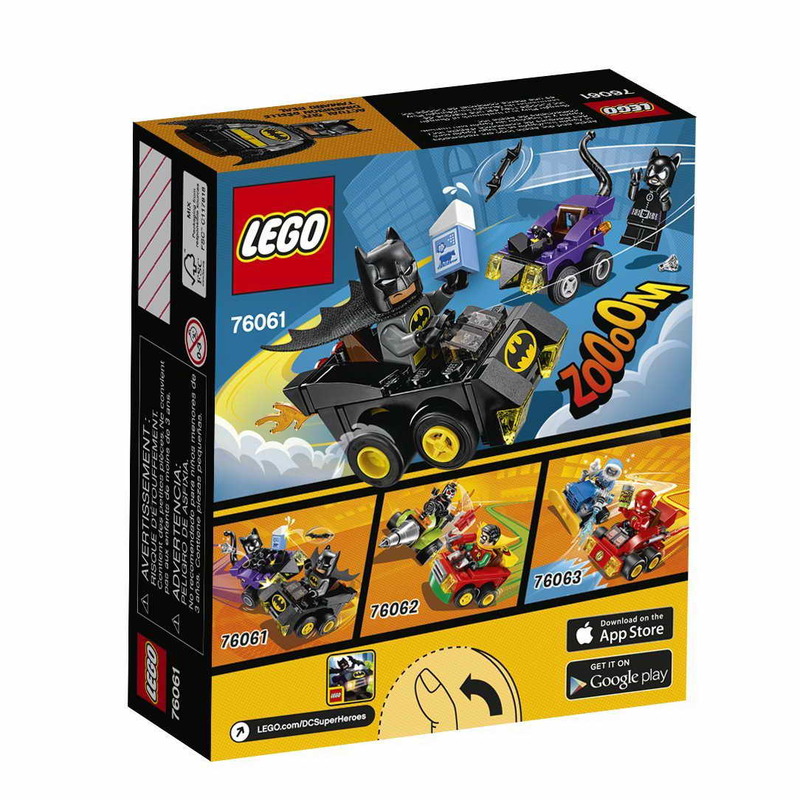 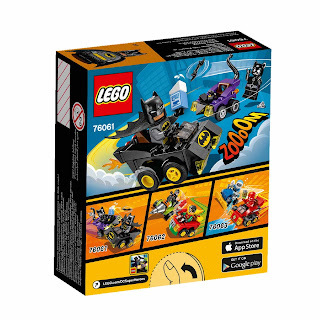 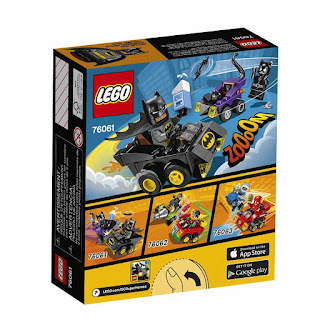 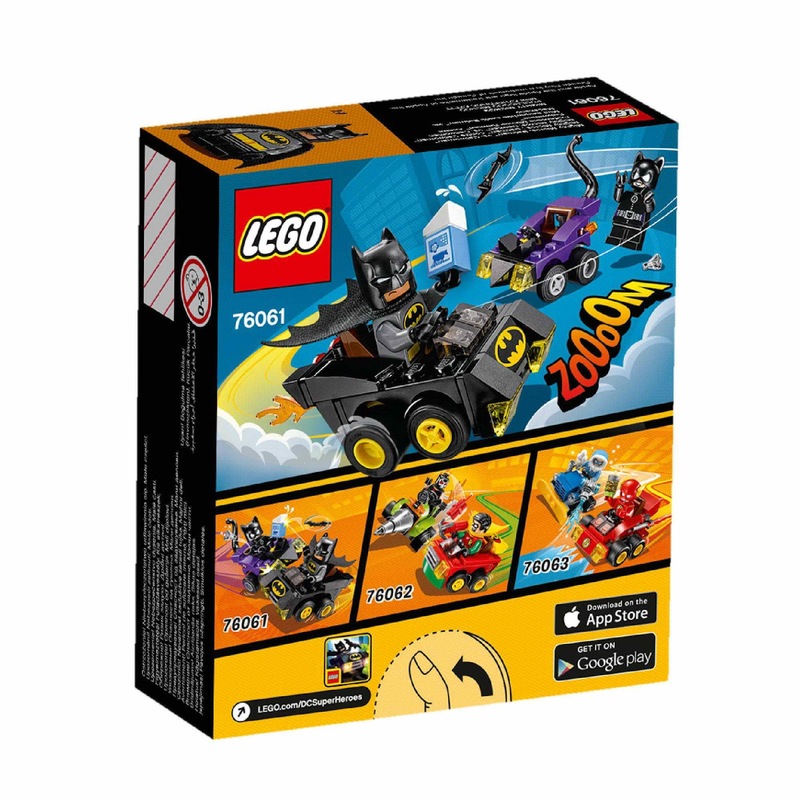 minifigs included a batman minifig and a catwoman minifig.